Are Dog Christmas Costumes Right For Your Pet? Christmas is a time for family. It is a time for celebrating the birth of Christ, for gifts, dinners with those we love and dressing up in our fancy clothes. And for many, time with family includes those with fur and four feet. Dog lovers tend to include their pets in everything they do, including the holidays. This can mean homemade dog biscuits, their own stocking or presents and, of course, some special Christmas clothing for the family dog to wear during the holiday festivities. 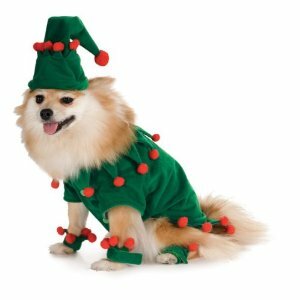 Dog Christmas costumes range from the simple to the extreme and will certainly add to the festive feel of the holidays, if your dog is properly prepared. But if your dog isn’t used to wearing attire, you’ll want to consider his temperament and ability to adapt to new situations. If you want to enjoy seeing your dog dressed up for the holidays, it is important that the dog at least tolerates it, as well. Nothing will put a damper on a Christmas gathering faster than a generally friendly dog who is psychotic over a new Christmas costume. Let’s start with your dog’s basic temperament. A dog in a Christmas costume will be a hit at any holiday gathering, especially one with children. Most guests will want to pet him, and to a small child, your costumed dog is a magnet to be hugged, tugged and kissed. If your dog is shy or doesn’t like children, he is probably a poor candidate for dressing up for a holiday party. If, on the other hand, your dog is adaptable, loves kids and adores being the center of attention, you have the perfect pet to transform into an elf or reindeer. If you decide to purchase a dog Christmas costume for your pet, do it the right way. Dressing your dog up for Christmas is more than just picking out a costume and throwing it on the dog twenty minutes before the guests arrive. Proper preparation will insure that you, your guests and the dog will all enjoy the evening. When purchasing a costume, remember that pet Christmas costumes can be scary for a dog who isn’t used to wearing outfits. Introduce him to the costume slowly. Make sure the dog is relaxed and happy – a good time to introduce anything new to your dog is just after he has eaten. Do not try to put the costume on immediately after you return from PetSmart. Let Fido or Fifi see the costume and smell it, maybe even give them a small treat while they’re looking at it. Stroke the costume slowly along his side, so your dog knows it won’t hurt him. Drape the costume across the dog’s back and let him wiggle out from under it. Do this several times until the dog either seems comfortable with it there or ignores it entirely. Only after the dog is at ease around the costume should you put the costume on him. Puppies who are raised around children are often familiar with “dress up” and actually seem to enjoy it. Even most adult dogs, however, can be coaxed into wearing a costume for Christmas if you handle it properly, even if the costume is only elf ears or reindeer antlers. If you are determined dress up you particularly resistant pooch, consider making him a festive bow-tie out of a Christmas plaid or appropriately-colored polka dot material. 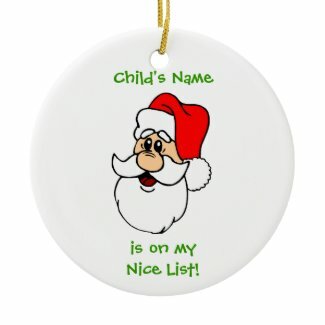 These can be attached to his collar and he probably won’t even realize that you’ve turned his bah-humbug attitude into one that makes people smile. Owners of larger dogs will be glad to know that there are even a couple of websites that specialize in costumes to help dogs up to 200 pounds get into the holiday spirit. In addition to the traditional Christmas costumes, they also carry “dresses” and “tuxedos” that will be especially appropriate for more formal Christmas affairs. Some of the more popular Christmas costumes for your pooch include Santa or Mrs. Claus, elves, angels and reindeer. If you find, that for your dog, Christmas costumes are totally out of the question don’t despair – there are plenty of adorable dog collars with a Christmas theme that can add to your pet’s festive appearance this holiday season.